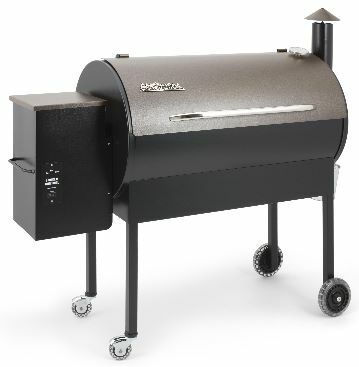 SmokingPit.com - Traeger Pellet Smokers & Grills local Dealers - Texas Elite, Lil-texas Junior and more. Just a FYI everyone, there is a known issue with failing Hot Rods (igniters). According to Traeger Service this issue is known to affect some of the 2009 models and has been resolved in the 2010 models. The problem manifests itself by tmoisture leaking inside the igniter and eventually causing the electricity supplied to the igniter to short to ground. This will trip your GFI circuit. 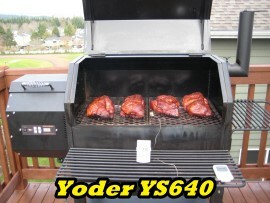 Call Traeger immediately and speak with a service representative. You will be asked to supply your serial number found under the hopper lid. If you have any issue ask to speak with the service manager. Traeger should send you the new igniter. Unplug the igniter. Remove the Controler (2 screws), replace the fuse. Once the fuse is replaced, remove the grill, drip pan and heat shield to access the fire pot. Turn on your Traeger and allow pellets to cover the igniter. You may now light the pellets with a propane torch. This should get you through your cook until you receive your parts. I have been smoking meats for over 20 years. I started with an electric Little Chief smoker. This smoker did a decent job of fish and jerky. years later I started smoking larger cuts of meat and poultry and moved up to brinkman Bullet style charcoal water smoker. The product I was turning out was pretty darn good and I used that thing until I wore it out. My next upgrade I went to the same style of bullet style water smoker but this time I gave up on the charcoal and went LP gas (propane). What a difference! Allot less hassle and it was much easier to control the temperature and my smoked meats started taking on a much better flavor. Same principal as the Charcoal bullet. You still use hardwood chunks for smoke and you still use a water pan to help keep the temperature steady. I was content for many years and went through a couple of these. Several years after getting re-married, I came into a larger family. I had 3 more moths to feed in the immediate family and a bunch more family to come eat at get together. I actually have not counted them all. It was time to up size as far as capacity. I was still happy with the LP water smoker thing so I upgraded to a Great Outdoors Smokey Mountain Series vertical LP water smoker. At this point in my smoking hobby, this thing was the ticket. In fact I like it so much I still have it in my garage. It was much easier to use then the bullet as far as adding wood and water. Do you see the pattern here? I didn't at first then one day it hit me. The easier the smoker was to use the more I enjoyed it. The more I used it and the higher the quality of smoked foods I produced. I smoked on the GOSM for a couple years and one day I was looking to go barrel type with even a larger capacity. I had the chance on several occasions to cook on stick burners with the side fire box and enjoyed them. During my hunt I stumbled on a YouTube video of a Traeger Texas Elite. It was one of the older models but a Traeger none the less. What intrigued me was the ease of operation and the use of pellets instead of wood chunks. Traegers have a side mounted hopper that holds the pellets. The pellets are not heating class pellets, they are a cooking class of pellet. The pellets are automatically fed into the fire box and when cooking low and slow it can maintain temp for as long as 14 hours without refilling the hopper. For over a month I researched the Traeger brand including talking to Traeger owners and getting a backyard demo from a local dealer. I didn't stop there... One night while watching Pitmasters BBQ on TLC I got the idea to email Myron Mixon of Jack's Old South. Myron was one of the Pitmasters on the show. He is known as one of the most decorated Pitmasters who's winnings amount well over $600.000, To my surprise I got a response from Myron with in a couple days. He had very positive things to say about the Traegers. I'm waiting for his permission to post his comments before I can put them on this page. Let's talk accessories... There are allot of extras ranging from racks and shelves to thermostats etc. The items I bought were the cover, 225 degree digital thermostat and the front shelf. The digital thermostat regardless of whether you go with the 180 or the 225 degree model, they are a must have as they allow for a more granular control of the temperature. they also reduce the fluctuation in temp in comparison to teh three position switch. The 225 degree thermostats is provided by Traeger. If you want the 180 degree thermostat its sold as an after market part by other companies. Links for this are below. The first thing I noticed was I no longer required a heat probe in the smoking chamber to monitor the temperature. it was right on the money and it only fluctuates 20 degrees either way and this is in winter. Now I can buy a second meat probe and monitor to cuts of meat at the same time. The Traeger pellets do a great job but I have found a even tastier pellet. Epps Farm in Kansas manufactures and sells pellets made of 80% hard wood of your choice and 20% oak. The 20% oak is to control the burn. I had them send me up a bag of Hickory pellets and they are rock solid! I'm working on getting my dealer to get a pallet up here. He sells them to Louisiana pellet grill distributors so if you have one nearby you may be in luck. The front shelf was the only let down I had out of the whole deal. It hangs on the from lip of the barrel. Very easy to put on and remove. The only problem is it leave a pretty good gap in the door causing loss of heat and smoke. I didn't like this at all so I sent it back and purchased the smoking rack instead. 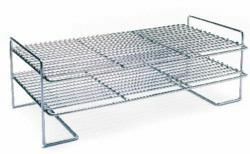 This was a great add-on as it allows me to cook up a bunch of chicken on the main grill and I can load the rack up with ABT's etc above the chicken. It also greatly increase the rack space to smoke fish or jerky. 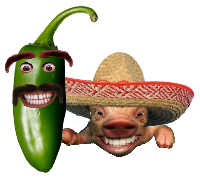 This add-on I highly recommend. All in all the Traeger is an outstanding smoker grill that provides quality and ease of use that is hard to pass by when considering an upgrade. Bottom line, you won't find too many folks who have owned them and didn't love them. My dealer owned his first for 10 years then gave it to a friend. It's still smoking great products to this day. Looking for a Traeger Dealer? If your in the Puget Sound area and are interested in purchasing a Traeger, I would highly recommend you talk to Chris Lunt (my dealer). Chris is a great guy who will definitely take care of you. I paid cash and my Traeger Texas was delivered within two working days. He even helped me set it up. Now that's service! Below is Chris's contact information. Chris is an authorized dealer of the Traeger brand.